Obituary for Bert J. 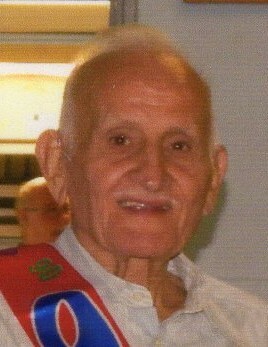 "Tom" Bowmaster | Sorge Funeral Home Inc.
Bert J. “Tom” Bowmaster, 92, Duncansville, died Friday at his residence. Friends will be received from 5:00 to 7:00 p.m. Tuesday, Feb. 12, 2019, at Sorge Funeral Home Inc., Hollidaysburg, where a funeral service with military honors will follow at 7:00 p.m. Interment will be at St. Monica’s Cemetery.